There are thousands of web hosting companies out there, but only a select few are truly able to deliver premium web hosting at affordable rates. It’s not an easy task to look for one that really has your best interest in mind. Good thing you’ve landed on this site, though, because I’m here to help you make the search a lot easier! One such web host that’s been gaining traction lately is Midphase. It’s been in the web hosting industry long before many of today’s top names have been established. Focusing mainly on meeting the demands of personal and small business site owners, Midphase is a trusted name that’s worth your consideration. In this Midphase in-depth review, we’re going find out whether or not this web host really does offer premium web hosting at affordable rates. After all, wouldn’t it be better for you to know all the nitty-gritty details (and perhaps even their dirtiest web hosting secrets) before you decide to invest on a web host? Read on as I go over their web hosting packages, pricing, uptime and reliability, control panel, customer support, and everything else that should be important to you. Midphase Web Hosting: What’s Their Story? Midphase was founded in 1998 and is headquartered in Chicago, IL. The company mainly deals with shared, reseller, and dedicated web hosting. Although already considered a veteran in the web hosting industry, it’s still a small company compared to other top names in the business. Despite this, they continue to see a steady stream of growth and prosperity, and is listed as one of the fastest growing companies in the industry, with a record-breaking growth pattern that’s faster than the industry average since its inception. Midphase have grown from zero to more than 120,000 clients, and now has over 75 employees. They are also reported to be 100% debt free, is privately held, and financially stable, so you know your website is in very reliable hands. Midphase is able to distinguish itself from many other web hosts by providing a wide array of web hosting packages at reasonable prices. They currently offer shared web hosting, reseller hosting, VPS hosting, dedicated server hosting, as well as eCommerce hosting. Midphase mostly caters to newbies who wish to build their own websites, as well as business owners who want to have a strong online presence. If you’re planning to set up a simple personal or business website, shared hosting is a good way to start. Midphase have three different shared hosting plans that offer a good amount of flexibility: Personal Web Hosting, Professional Hosting, and Business Web Hosting. They’re an “unlimited everything” kind of hosting provider, with plenty of useful features added in each plan. With prices ranging from $1.97/month to $4.47/month, Midphase have some of the cheapest shared hosting plans in the market. Right now, Midphase is even offering a limited-time “Winter Warmers” special offer where you can get 50% off yearly packages! Yes, that includes their shared hosting plans! Who knows, the sale might end today or tomorrow, so you better hurry and take advantage of this money-saving opportunity. It’s also good to know that Midphase is one of the very few web hosts that offer both Linux and Windows hosting. While it’s true that Windows hosting has come a long way in the world of web hosting by becoming more stable and feature-rich, Linux hosting remains to be a more popular choice among website owners. Linux works very well with many software applications and scripts that form the very backbone of great websites on the Web. Meanwhile, Windows has a successful story in terms of providing top-notch proprietary packages. Web developers who are using ASP will greatly benefit from their Windows hosting platform. As you can see, Midphase is quite generous with their offerings. I can safely say that they’re on-par with other top brands like BlueHost and iPage. For the most part, their service lives up to its claim. They offer a wide range of features and options for those who are on a budget. While they’re one of the cheapest web hosts with an impressive lineup of hosting solutions, some of the features they offer come with extra cost. And once you have your own hosting account with them, using the platform might require some extra time and effort, especially if you’re a newbie. Have you outgrown your shared hosting plan? It’s time to upgrade to a more robust VPS hosting plan. Unlike your typical, run-of-the-mill VPS hosting plan, Midphase offers SSD VPS hosting, which ensures your website is at its optimum performance. What’s more, their SSD VPS hosting plans are entirely flexible to suit your needs and budget! You’ll have access to data at lightning-fast speed and you can quickly deploy images and other types of media. This is all thanks to Midphase’s SSD infrastructure, on top of a one-gigabit port and a Cisco-powered network with over 200 GB of capacity. Choose from 5 different SSD VPS hosting packages which vary in price, amount of disk space and bandwidth, as well as RAM and cores. 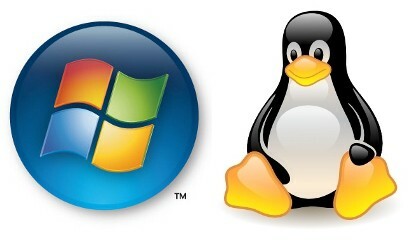 At the time of writing, Midphase only offers VPS hosting on the Linux platform, although support for the Windows platform is currently underway. For those who need more features and services, Midphase offers a few extras and add-ons for an additional cost. You can add up to 7 extra IPv4 address for $2.50 each per month. You can also purchase a cPanel license to your SSD VPS hosting plan for $10 a month so you can have full control and ease when managing your account. This is far cheaper than the cPanel license offered by other web hosts, which could reach up to $15 per month, or more. Soon, Midphase will also cater to Windows users by offering Windows licenses as low as $7.50 a month. They’ll also provide Plesk control panel licenses so you have another option besides cPanel. Once again, Midphase impressed me with their offerings. They offer more disk space, bandwidth, and RAM compared to most of their top competitors, and they are significantly cheaper, too! Windows users may have to wait for a while for Midphase to offer Windows hosting for SSD VPS but the bottom line is that they have a pretty good deal with their VPS hosting packages. Too busy growing your business? Having trouble with your site because someone else is on the same server as you and is taking all the resources? Consider signing up for cloud hosting! Besides SSD VPS hosting, Midphase also has managed cloud servers for power-hungry users whose business demands more of their time but require a high-performing website. 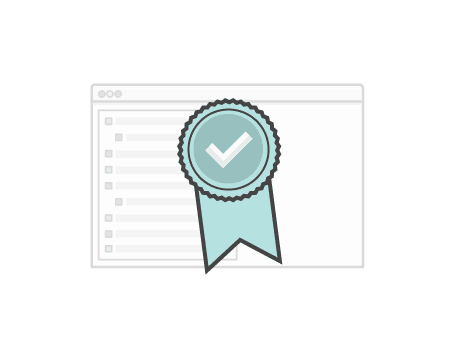 With cloud hosting, you’ll get incredible flexibility, dedicated resources (no more sharing with other users! ), managed services, and a user-friendly control panel that makes things a lot simpler. Take charge of your business – Midphase will do the rest! With cloud hosting, you’ll get all the power you need, with the peace of mind you want. Midphase will carefully modify and optimize your hosting platform to provide maximum speed, security and reliability for your site. Midphase will manage the rest for you while you focus on your business. There’s plenty of room for growth. It’s great if you gain a lot of visitors to your site, but what if your hosting plan could no longer handle the traffic? With Midphase cloud hosting, however, handling traffic spikes is easy-peasy because you have the power you need when your website needs it most. You can easily scale up or scale down with just a click of a button! Get guaranteed resources. Sharing may be caring but when it comes to web hosting, you can’t afford to miss income-generating opportunities because of website issues. This usually happens with shared hosting, especially when someone else on the same server as you is consuming all the resources! With cloud hosting, however, you get all the disk space, bandwidth, RAM, and CPU you signed up to get. It’s a lot like getting a dedicated server, but it’s cheaper. It’s easy to use. Several years ago, only the nerdiest of nerds could expertly use cloud hosting technology, but that’s no longer the case today. Now, even newbies can take advantage of this amazing technology because there’s no learning curve. Again, Midphase will do the setup and updates for you so you can stick to what you know best: running your business! Perhaps my only concern with Midphase’s cloud hosting plans is that they’ve placed limitations on the resources. They’re also at the higher end of the spectrum in terms of pricing. On the upside, cPanel license is free on all cloud hosting plans, so you’ll get to save around $10 a month. At this point, your business’ growth is unstoppable. But can your website handle it? For large-scale businesses and companies that need the ultimate power in web hosting, you’ll never go wrong with a dedicated hosting plan. And with Midphase’s dedicated servers, you can harvest the power of an entire server and have full control over it. Starting at $78 a month, you can get a dedicated server all to yourself! You can choose from 6 different tiers, all of which provide you with the reliability and power you need to create and manage multiple websites. Right now, Midphase even has special promo offers on each of their dedicated hosting plans; with discounts up to 60% off! Just like their VPS plans, Midphase currently does not offer Windows hosting, although they promise to give clients plenty of Windows options soon. At a monthly price of $25, the cPanel license for their dedicated servers is also more expensive. And if you need extra HD and RAM, you’ll have to pay a hefty price too, depending on the server. So if you’re not ready to dig deeper into your pockets for add-ons and extras, I suggest you look somewhere else. Consider other great alternatives like iPage and BlueHost. They have offer the same great features at much lower prices. Do you have an existing WordPress site? Planning to build one with this amazing blogging platform? Who isn’t a fan of this highly popular CMS, anyway? Midphase has over 10 years of experience managing WordPress sites, so why not have your site hosted with the experts? With Midphase’s Premium WordPress Hosting, you’ll get a fast custom server that’s specifically designed to house growing WordPress sites like yours. And if you order today, you’ll get 50% off if you commit to a 1- or 2-year plan. That’s right, their Premium WordPress Hosting is part of their special Winter Warmers promo, so you better hurry before the sale ends! Support from WordPress experts. Midphase has been hosting WordPress sites for well over a decade so you know your WordPress site is in good hands. Super fast, supercharged website. Your website is powered by lightning-fast SSD drives and is boosted by the power of CloudFare CDN, which means your site will whizz around at a record-breaking speed. Safe and secure website. Automatic non-core updates and malware removal with patching are included with the package so you can be sure that your site is protected against malware and hackers at all times. 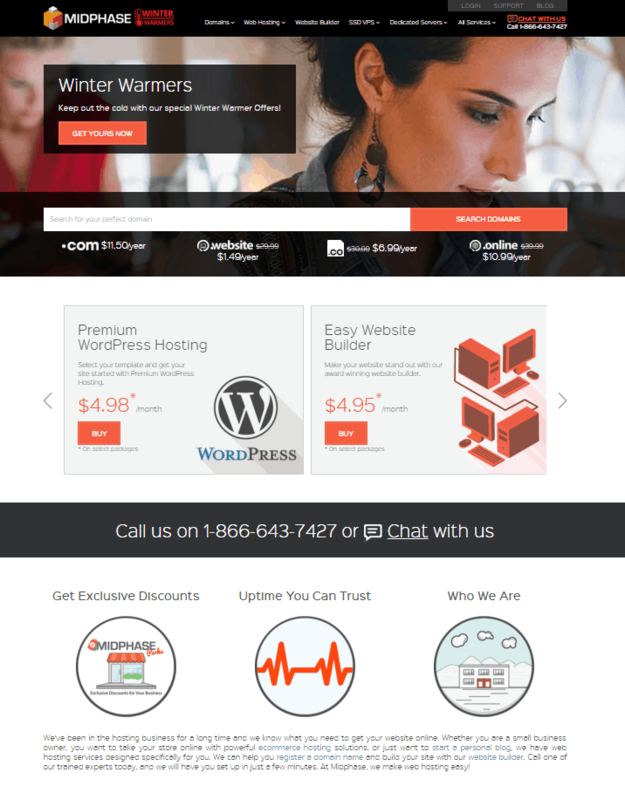 Premium WordPress themes. Experiment and give your site a unique look with more than 50 carefully crafted themes. You can pick any of these within your control panel. What’s more, they’re updated with new WordPress versions. Midphase lets you choose between two packages: Primary and Pro. Take note, however, that you must first purchase a hosting plan before choosing any of these packages. Midphase’s WordPress hosting plans are slightly cheaper compared to what’s offered by most other web hosts. But of course, before deciding to make the final purchase, make sure to check out what other providers have to offer first. Better safe than sorry, right? 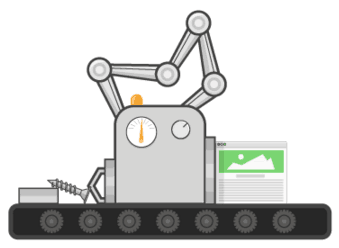 Don’t want to deal with complex codes and tricky technical jargon when building your site? The super-simple and easy-to-use Website Builder V7 might just be your answer! Website Builder V7 will help you get your idea online and create a site that will truly stand out from the rest. Once you pick a plan, you can get your site up and running in minutes with the help of this amazing tool. It’s a great addition for beginners who are creating a site for the first time. It even optimizes your website for mobile browsers! And with its drag-and-drop functionality, you can easily add text, video, and images; and place them wherever you want on the page with just a few mouse-clicks. Just follow these 3 simple, easy-to-follow steps and you’re well on your way to make your dream website come true! It’s a pretty good deal, don’t you think? But the sad thing is that, unlike other web hosts, Midphase doesn’t offer a free website-building tool in their plans. But Website Builder V7 is surely worth the investment, considering the features and benefits you’ll get. Midphase also offers tools and services that are necessary to create and host an eCommerce site. However, some of them come at an extra cost, like SSL certificates which ensure the security of your site. And with the exception of ShopSite, they also support many popular shopping cart software such as Agora Cart and CubeCart. Setting up your website and managing your hosting account is simple with Midphase’s easy-to-use cPanel/WHM control panel. It allows for streamlined site management that lets you easily set up things like emails, databases, and file transfers. Midphase offer cPanel mainly with their Linux hosting accounts. It’s the industry-leading control panel that provides all the features you need, plus a rich online environment where you can manage your web hosting. It’s user-friendly, secure, and reliable, and gives you total control of your account so you can customize it according to your needs and preferences. They’ve also chosen to integrate the ever-popular Softaculous instant app installer, which allows you to install software and scripts with just a simple click. With it, you have access to 300+ applications of all kinds and purposes, including photo, gallery, blog, social network, CMS, and more. 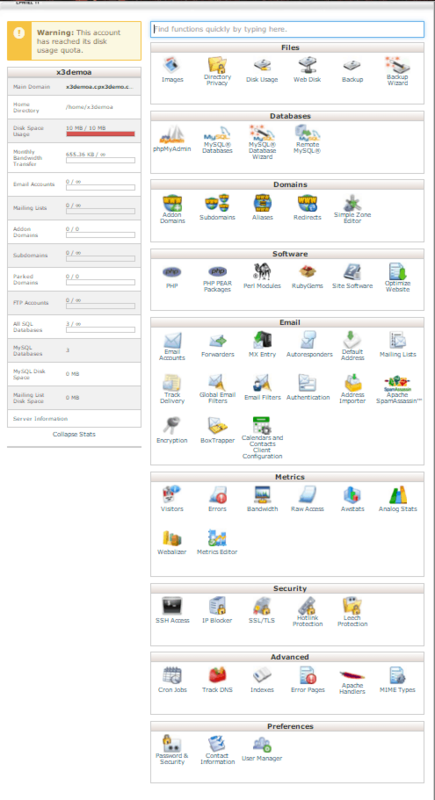 Besides cPanel, Midphase also used the Web Host Manager (WHM) control panel that comes packed with cPanel. With its easy-to-use interface, managing and monitoring your website is a breeze. You can handle everything about your site, including emails and FTP accounts, view website statistics, manage add-ons and domains, manage files, back up your sites, and more. Right now, Midphase only offers cPanel to their clients. Stick with them a bit longer, though, and they’ll soon provide you with more options, like the Plesk control panel, which is commonly used for Windows hosting. Uptime Track Record – Are They Reliable? As stated in their Terms of Service, this web host guarantees 99.9% uptime for both their web servers and network. So if there’s an outage above this guarantee, trust that you’ll be reimbursed 5% for every hour your site is down, up to 100% reimbursement. That’s enough to make you feel warm and fuzzy, right? Midphase claims that they have 3 reliable data centers in the US. Their infrastructure has been built and designed with web server hosting reliability as their main focus. Since their inception, they host data in a Tier 3 data center which provides the highest level of security, on-par with that of major banks and financial institutions. Additionally, their data center does not require routine shutdowns for maintenance, so you know your site will be up and running at all times. However, based on a recent uptime test I’ve conducted, I have detected 1 hour and 46 minutes downtime for Midphase in the past couple of months, with a verified uptime of 99.5%. It’s slightly lower than what they’ve promised, but the sites are indeed hosted in a reliable hosting environment. There are a number of complaints regarding downtime issues, though, but that’s a problem that’s commonly faced by many web hosting providers. Looking for a money-back guarantee before signing up with this web host? Midphase don’t feel like you need to go there but for your peace of mind, they’re offering a 30-day money-back guarantee. So if you purchase a hosting plan with them and you decide to cancel your account any time within the first 30 days, they’ll give you your money back – no questions asked. Take note that the 30-day money-back guarantee only applies to initial signups. If you wish to cancel your account after the 30-day trial period has passed or after your account has renewed, Midphase will no longer be able to issue refunds. Other services and add-ons that are not covered by the 30-day money-back guarantee include upgrades to hosting service, domain registrations and transfer, and SSL certificates. Dedicated plans are also not eligible for the money-back guarantee, so make sure to take note of this before you sign up with them. After all, a dedicated hosting package isn’t just worth a cup of coffee so if you’re not satisfied with their service, you have no way of getting your money back! Midphase offer 24/7 customer support, which is very important as problems with your site can arise at any time of the day or night. With around-the-clock customer support, you know you can get the help you need as soon as possible. You can choose how you want to get in touch with them – via email, ticket system, or even through live chat. The average wait time for the both email and trouble ticket system is five minutes, while it took about 6 minutes for a customer rep to answer my phone call. I also tested their live chat system and it took them 3 minutes to initiate, with an average of 1 minute between responses. Their customer representatives were able to answer my concerns quickly, and it’s evident that they’ve received training and were carefully chosen to do the task of assisting clients. 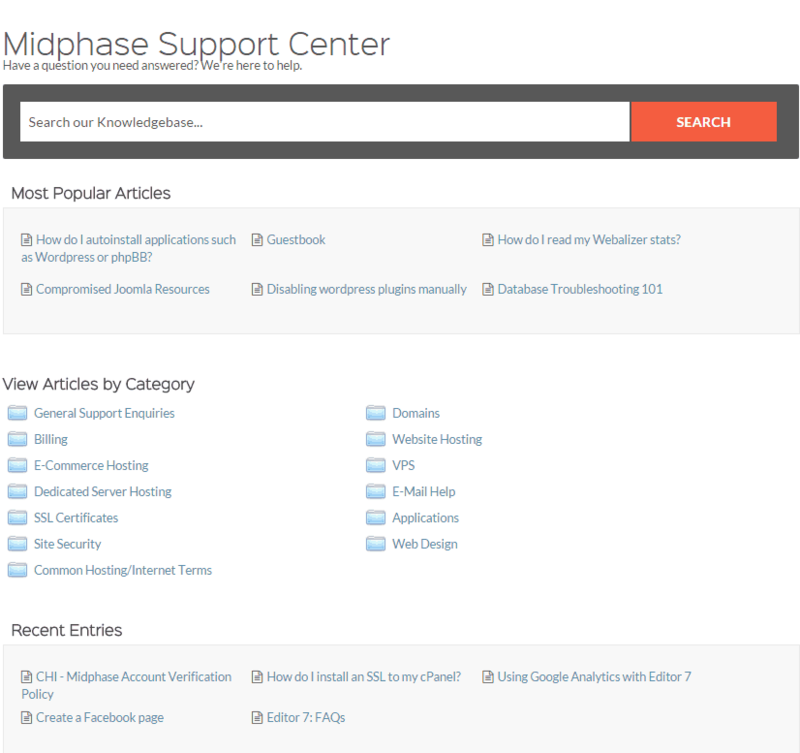 If you feel like you don’t need to get in touch with a customer support staff, know that Midphase also has a Support Center where you can find an extensive knowledgebase that you can search through for quick answers. Most of the commonly asked questions are already answered there, and they regularly update and add new content. It’s brimming with useful articles regarding how to properly use their service’s various functionalities. They even have Flash-based tutorials for those who prefer a more visual approach to learning various procedures. My only real complaint here is that this web host does not have community/user forums where clients can discuss or post concerns about using the platform. Midphase is a top-notch web host that offer premium web hosting at affordable rates. Their hosting plans are jam-packed with useful features, and they have a solid uptime and money-back guarantee that offer a nice and enticing entry to their service. Despite the lack of a community forum, Midphase is able to provide quality customer support, with an impressive array of offerings that make them a sure-fire winner. There’s no reason not to recommend it to individuals and businesses looking to save money while building a powerful website. A solid web host that’s appealing to clients who want the basics, for an affordable price. Midphase has all your needs covered, with hosting plans that are very easy on the pocket. Customer support is top-notch, with reliable uptime and performance. SiteBuilder Review – Free to Try, But is this Website Builder Worth $7.95 per month? I have been with Midphase since at least 2012, but have mostly used it for storage of a long neglected website. They are adequate so long as you require nothing of them. Recently I needed to access the EPP code for my primary domain but could not do so because the domain was registered with a long defunct email. I contacted Midphase support for assistance and they referred me to instructions in their knowledgebase to update the WHOIS through their backend. Following their instructions, however, resulted in an erroneous error: “The values were fine, but we couldn’t update the database.” I contacted support again for assistance and have now been waiting two weeks without any solution. I tried to go around Midphase by contacting the registrar, directly. The registrar informed me that my domain was registered with a reseller, UK2group, and that I should contact them. I did so, and UK2group curtly responded that I should contact my web host for support. So they have me trapped in a meaningless circle jerk with no control or access to the domain that I own. I am basically being forced to continue paying Midphase and prevented from leaving because they are holding my primary domain for ransom. Add this anti-support experience to their mediocre service and there is no good reason why anyone should sign up with them. All of the positive reviews online are clearly sponsored. - CONS: You get what you pay for.